hd00:07Close-up of a white dog husky Samoyed on a leash walking in the Park on the green grass. 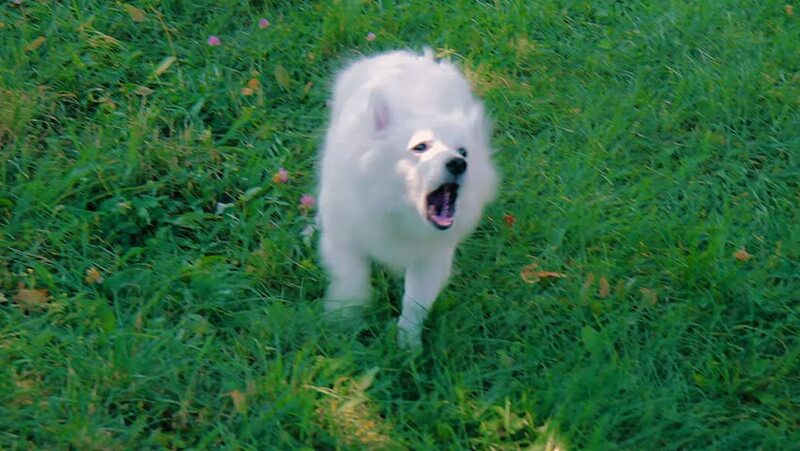 hd00:15Funny white Samoyed husky dog in the park. Laika dog breed walking in summer day. Greenery background. SLOW MOTION. 4k00:08Close-up of one cream pomeranian spitz lies on grass. The dog is chewing. Backyard on the background.